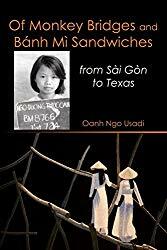 In the aftermath of the Vietnam War, a young girl and her family were exiled from city living in Saigon to the countryside of Vietnam and ultimately escaped to a small town in Texas. This quietly affecting immigrant memoir will make you laugh and cry at the same time. Through each traumatic transition, Oanh Ngo Usadi retains her optimism as she and her family adapt to new environments and cultures in their journey to become Americans. Finalist in Memoir/Autobiography for the 2018 BookLife Prize awarded by Publishers Weekly. One of six finalists and the only nonfiction work.